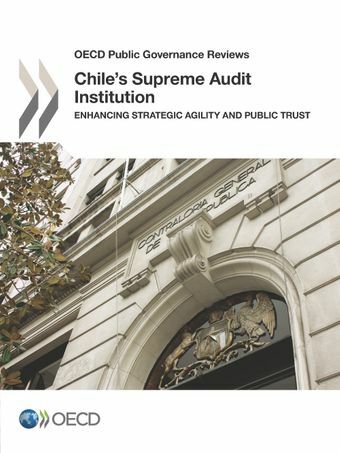 Chile's supreme audit institution (SAI) -- Contraloría General de la República de Chile or CGR is at the forefront of an evolution of Supreme Audit Institutions and has undertaken ambitious initiatives for institutional strengthening, capacity development, transparency and citizen participation. The CGR has introduced strategic planning, restructured its workforce and become an exemplary institution with respect to transparency within the Chilean public sector. The CGR recognises its crucial role in contributing to good public governance, and has undertaken this OECD review to build on the momentum – to support ongoing initiatives and to maximise the positive impact of its work on enhancing good public governance, to improve accountability and the quality of government decision-making. The CGR has the opportunity to further strengthen its solid reputation to position itself as a leader – providing objective and credible information that is widely recognised as useful for addressing challenges to good public governance. The review explores how the CGR’s audit assignments could be adjusted to enhance the institution’s impact on good public governance, and how it could further leverage knowledge gathered through existing and new audit assignments to deliver additional value to its diverse range of stakeholders. This OECD review, and its associated recommendations, was made possible through close collaboration with the CGR and consultation with stakeholders from the Legislature, the Executive, the business community and civil society. The analysis considers existing international guidance and incorporates the expertise and support of 12 peer SAIs in both OECD member and non-member countries. More broadly, this OECD review demonstrates how a leading SAI can continue to be a relevant source of objective and credible information and a model institution for accountability and independence in a complex policy environment.